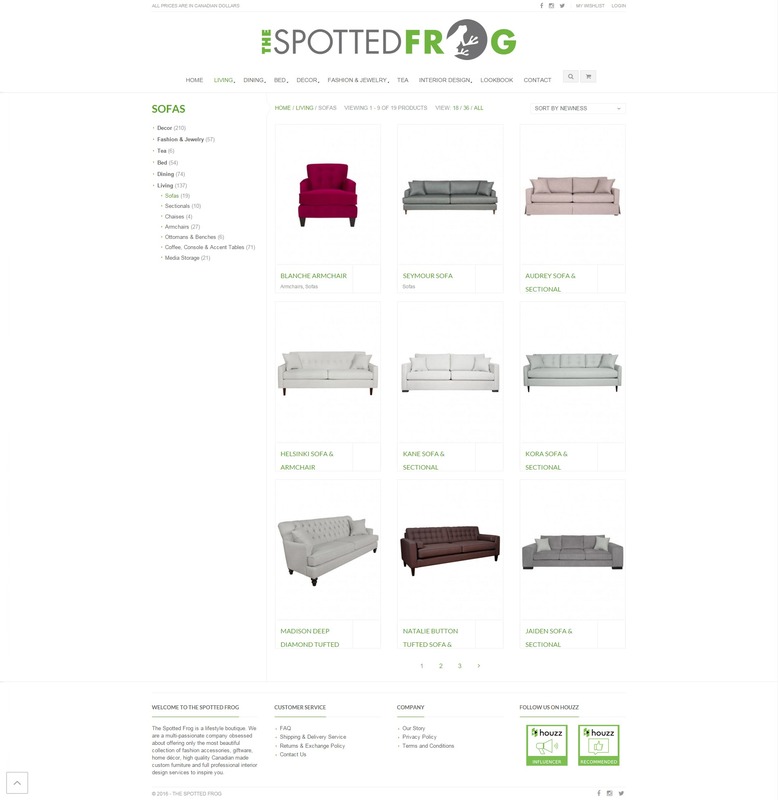 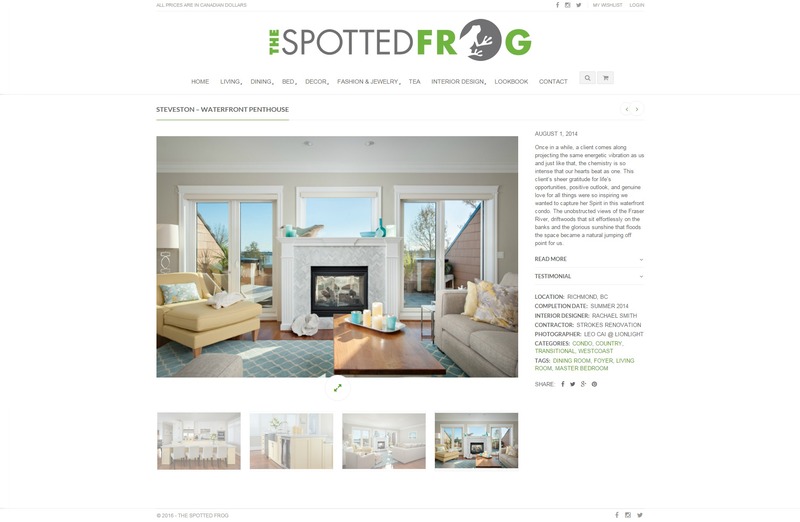 The Spotted Frog is an award winning, interior design boutique that prides itself for its eclectic infused, West Coast portfolio and unwavering commitment to customer experience. 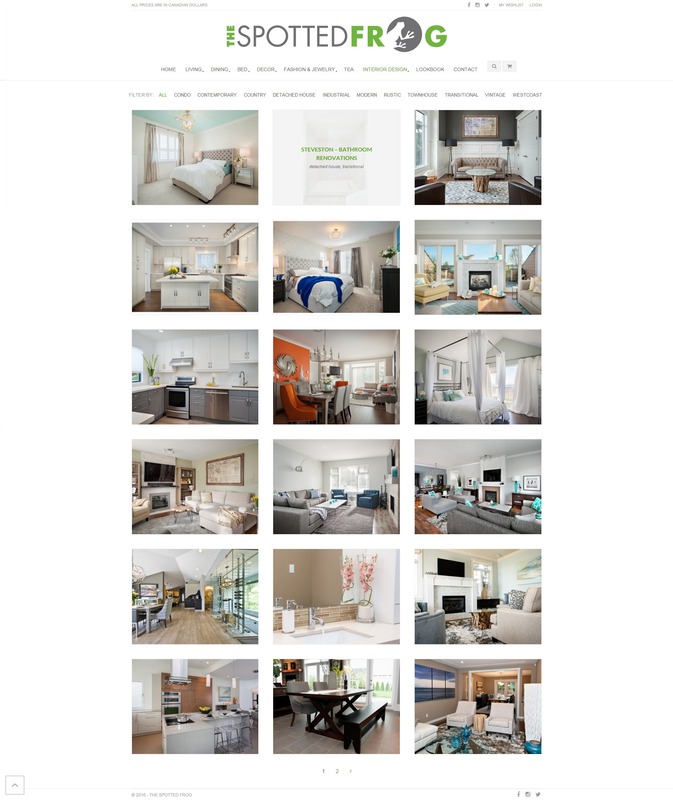 Specializing in luxury residential design, we create curated spaces tailored uniquely to each client. 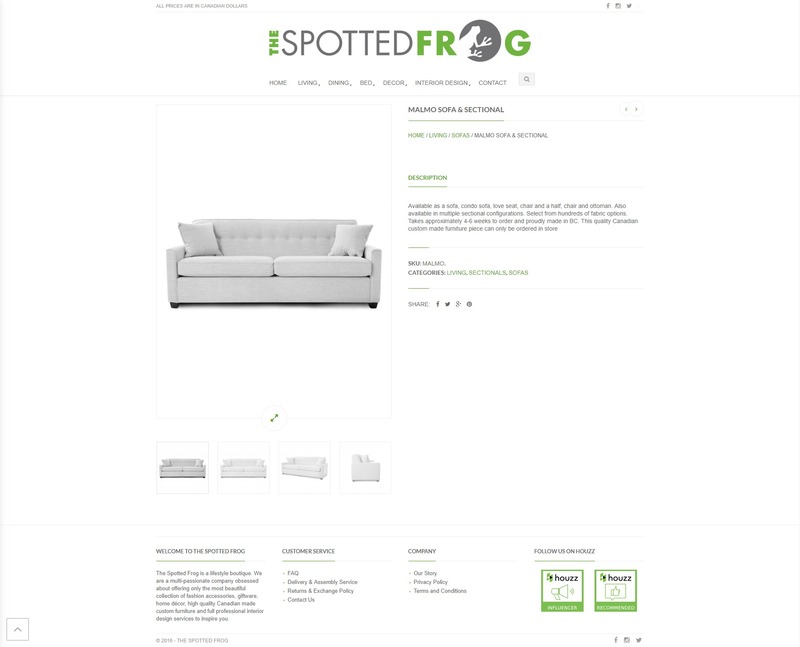 They came to us because they were rebranding and wanted to have a new and modern online presence to go with their new modern style and logo. 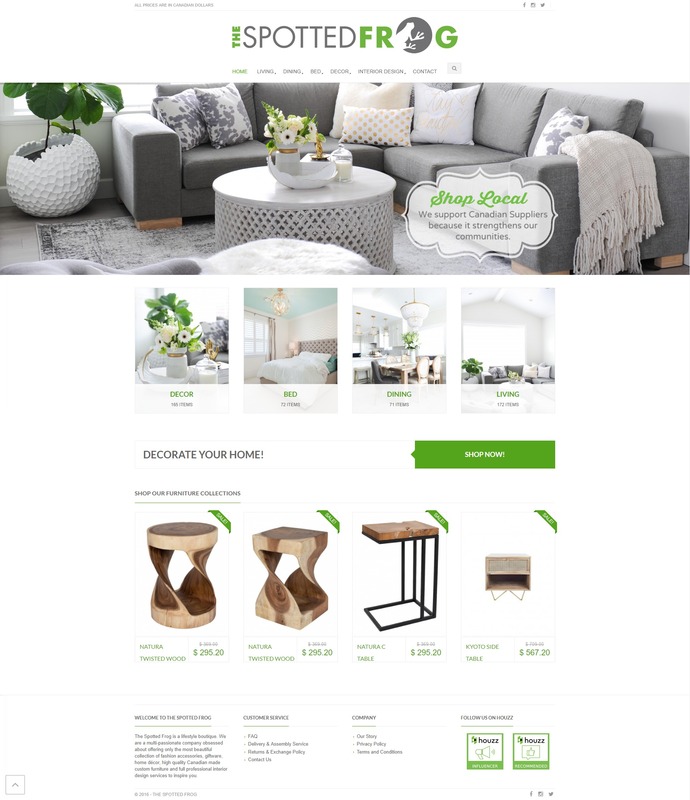 They had very specific needs, They wanted to showcase their interior design team and portfolio and have an online catalogue with the look of an e-store to showcase the items they have in store.